China handbag factory cosmetic toiletry makeup bag wallet shopping bags storage cooler bag factory: China handbag factory accept small order and urgent order!!! 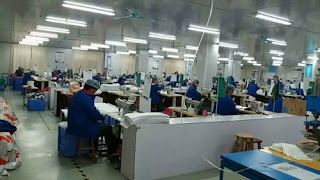 China handbag factory accept small order and urgent order!!! Golden Plum www.chinahandbagfactory.com is one of the TOP 10 good quality handbag factory in China ,we can accept small order and urgent order,our low MOQ can be low as 50pcs up per order/shipment,sampling can be 1-2 days,production can be 7-10 days,is it very allure for you? We can rush out your intend goods in short time with low MOQ,what's more is that we only produce high quality products,our QC inspect goods quality piece by piece,we can start our project from your design pattern or pictures,offering custom service to you,silk print or debossed your logo onto bag,all the details such as material,size,color,styling to be completely achieve to your idea...we are good at source material,technology,replica,with full experience over oxford cosmetic bag,pu leather toiletry bags,cotton shopping bags,Genuine Leather Wallet purse,EVA storage bags,non woven Tote bag...we offering professional OEM customized service to you,I am sure you will satisfy with our service and goods.